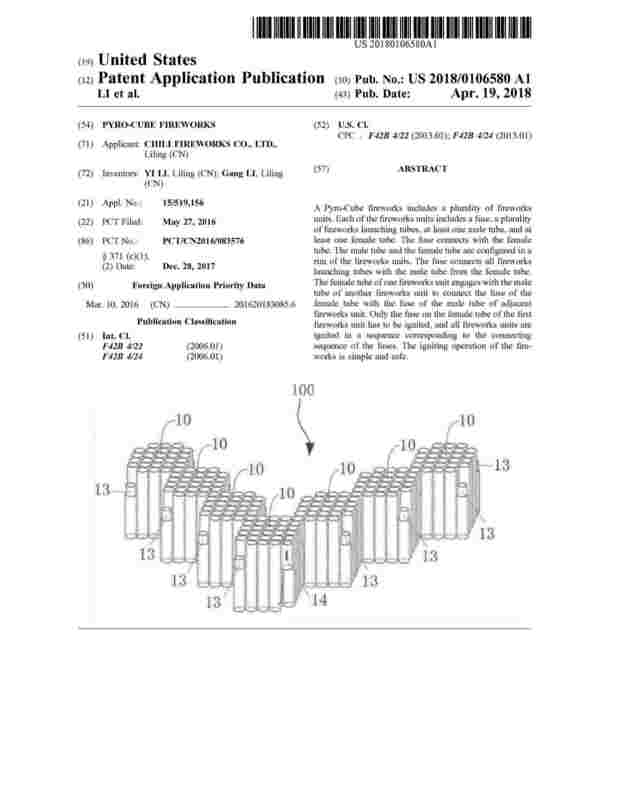 Patented Fireworks Displays - Kennedy Law, P.C. 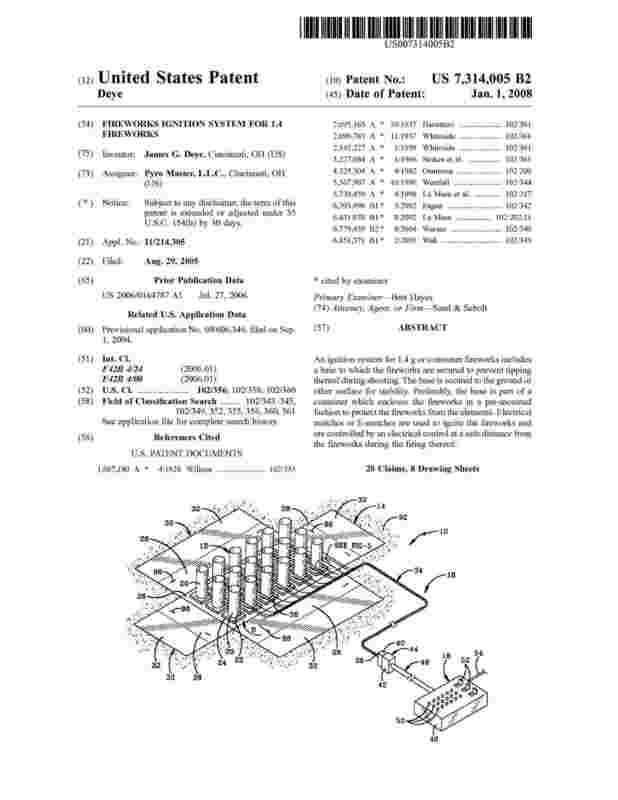 For the patriotic patent lawyer, inventor and/or fireworks enthusiast, today’s blog describes a few patents and patent applications claiming improvements to various types of fireworks displays. Enjoy, and have a happy (and safe) July 4th celebration. 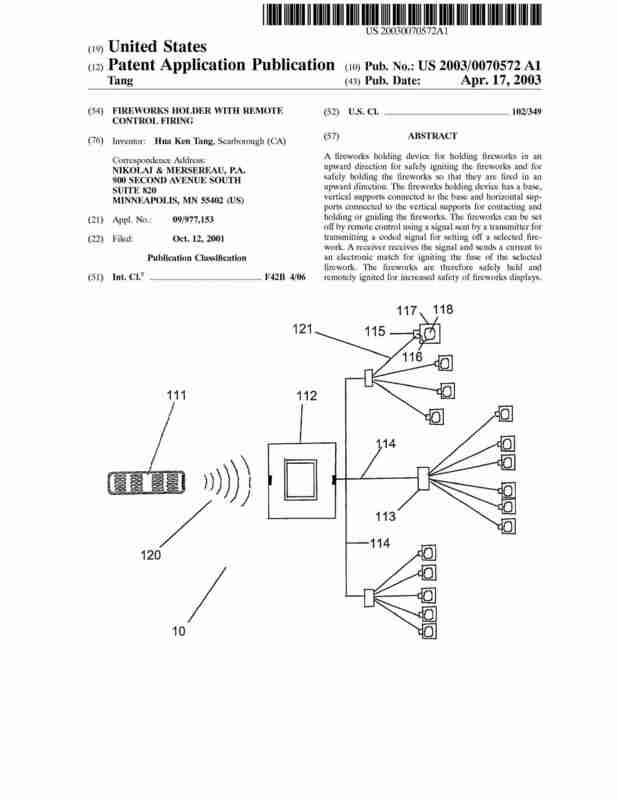 This invention is described as “A plurality of fireworks units. Each of the fireworks units includes a fuse, a plurality of fireworks launching tubes, at least one male tube, and at least one female tube.” Compared to shooting off a single firework, shooting off a plurality of fireworks creates a more exciting display. 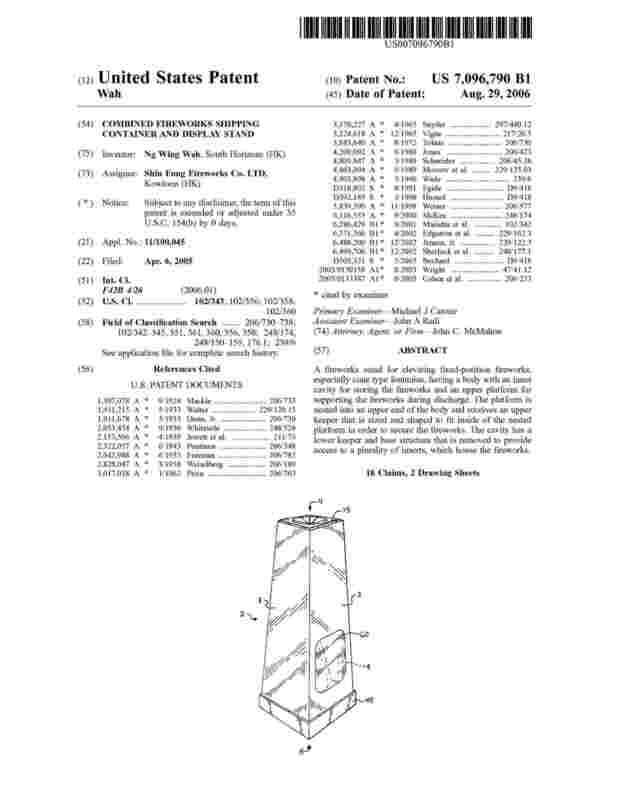 According to this patent’s description, the other methods of igniting several fireworks at once are complicated and unsafe, and this innovation is apparently a safer, simpler alternative.